Calling all Burnaby Mountain Artists! The poster contest is open to all branches Sparks through adults. There will be a prize for the winning poster in each branch category. 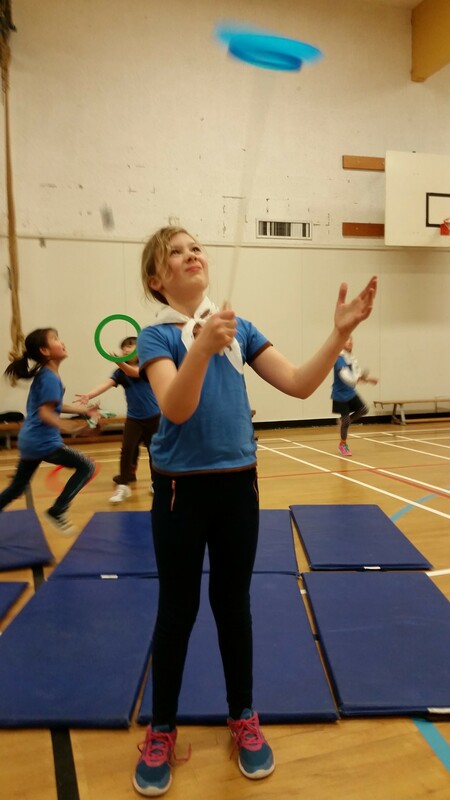 You must be a member of Girl Guides of Canada, Burnaby Mountain District to enter. Finished posters must be on 35cm wide x 55cm high (14” wide x 22” high) = half sheet poster board. Posters must include a correct trefoil with the box around it. The trefoil must be black or navy blue colour. 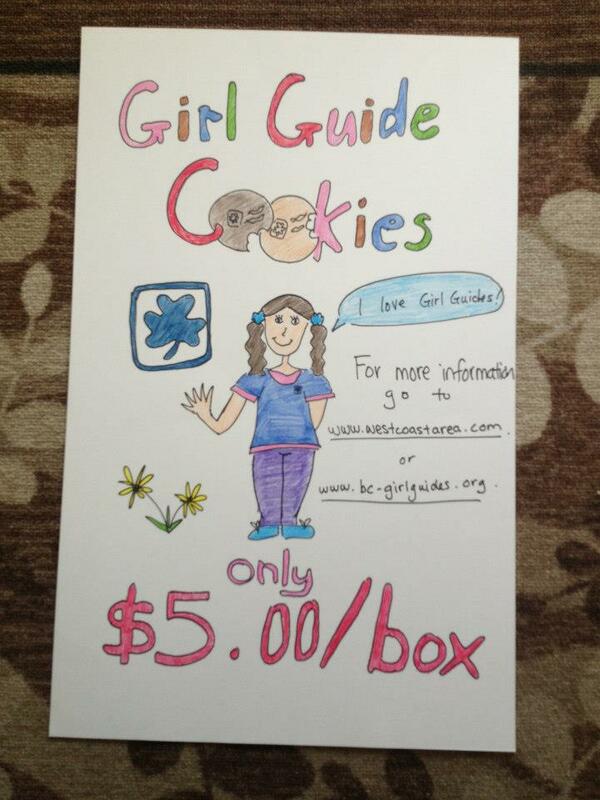 All posters must have the words: “Girl Guide cookies” and the price per box ($5.00). Poster must be completely hand drawn. There must be no cut-out or traced characters or computer generated images or any kind. Cookies and logos used must be the current, official designs. Any Guiding members depicted must be in current, official uniform. Late posters will not be accepted. 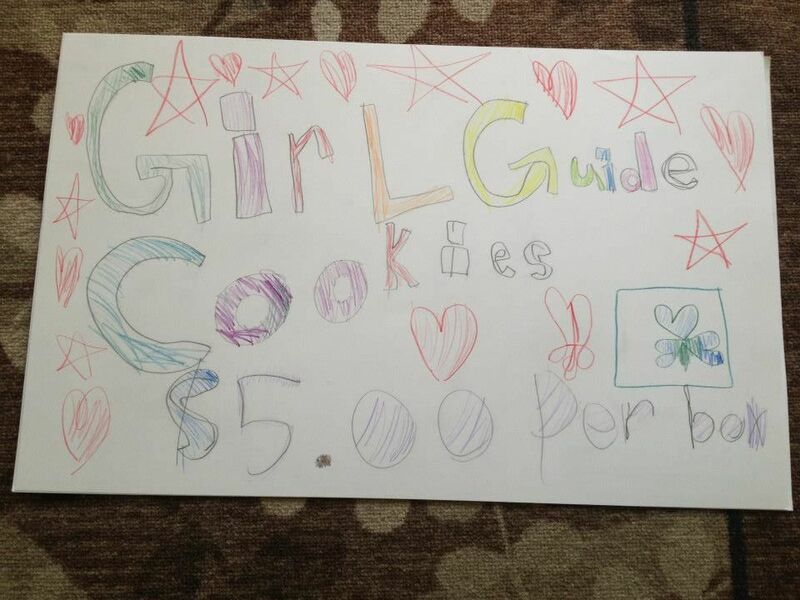 All submitted posters may be hung in public and used for cookie promotion. 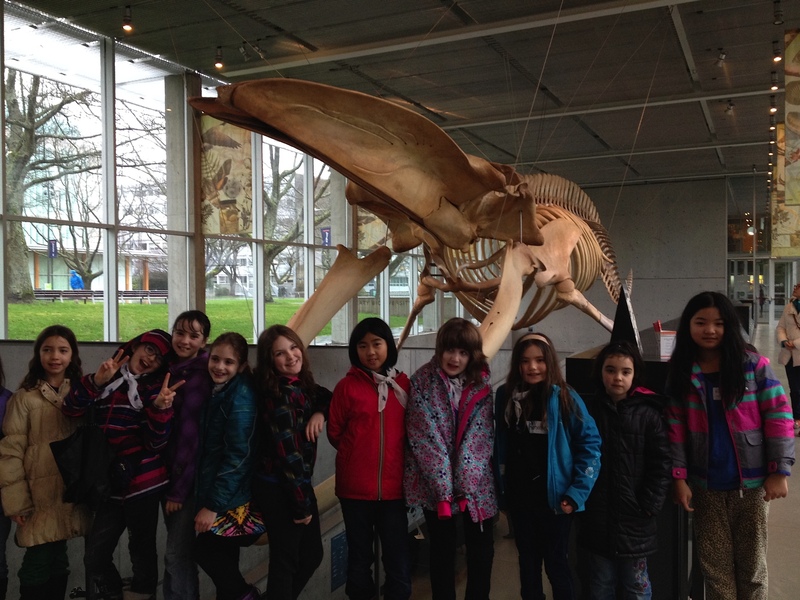 Recently the girls of the 22nd Burnaby Mountain Guides took a Saturday morning to visit the Beatty Biodiversity Museum at the University of British Columbia. The unit rode transit from Burnaby out to UBC and then enjoyed a hands-on tour of the museum. The wonderful museum staff had prepared a session for them focussing on birds. It was very interesting. Girls got to handle actual biodiversity artefacts and and learn about birds in a variety of ways. The Feathered Friends module is described as follows: Are you bonkers for birds? Learn the basics of bird watching by discovering how body shape, colouration, behaviour and sound can be used to find out more about the birds around us. 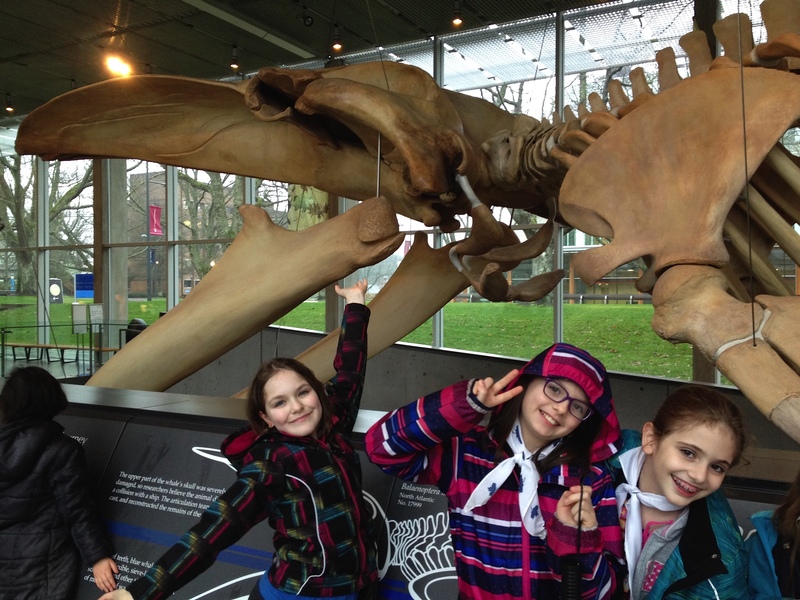 The pictures shown are the girls posing with the museum’s impressive 26 meter long blue whale skeleton. Very cool! It is always exciting to get our girls out in the community — especially onto university campuses! — to learn about things they didn’t know in ways that may not have occured to them. STEM Programing (Science, Technology, Engineering, and Math) is a wonderfully enriching part of our program and the girls love it!